Unwilling to wait the years necessary to unearth the armoury’s and their treasures from the ruins of Drakenhof, von Carstein was forced to rely upon the weight of his horde. 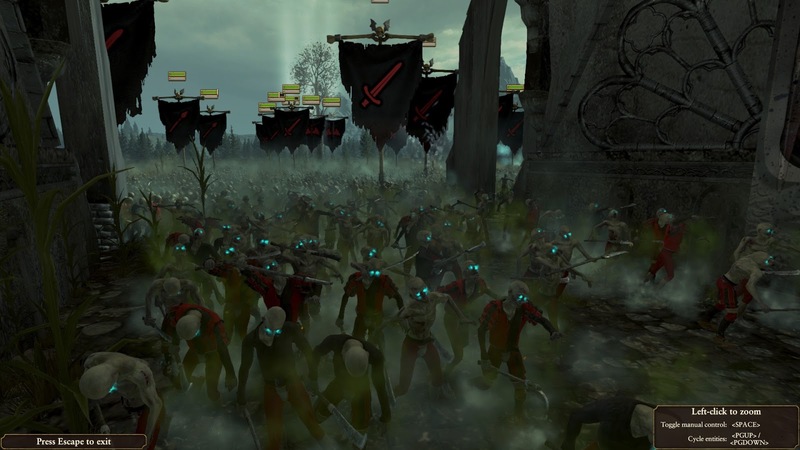 Against the armoured host of Templehof he sent legions of undead automatons, skeletons formed the spearhead with ranks upon ranks of zombies at their backs, jittering clouds of fell bats overhead. Van Kruger’s warriors did not waver; such an instinct was long abandoned, lost when life fled their savaged bones. 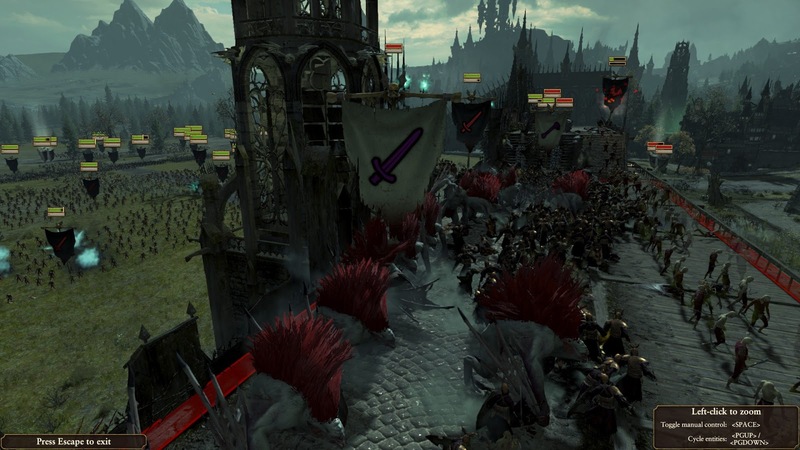 Vargheists plucked von Carstein’s fell bats from sky with dismissive ease, before they fell upon the skeletal passengers of the macabre siege towers, earthen monstrosities, wrought of bone, coffins, and the essence of death. Any pretence of retaining the walls of Templehof was abandoned when the gate crashed open, spilling untold hundreds, nay thousands of shambling dead into the dampened streets. 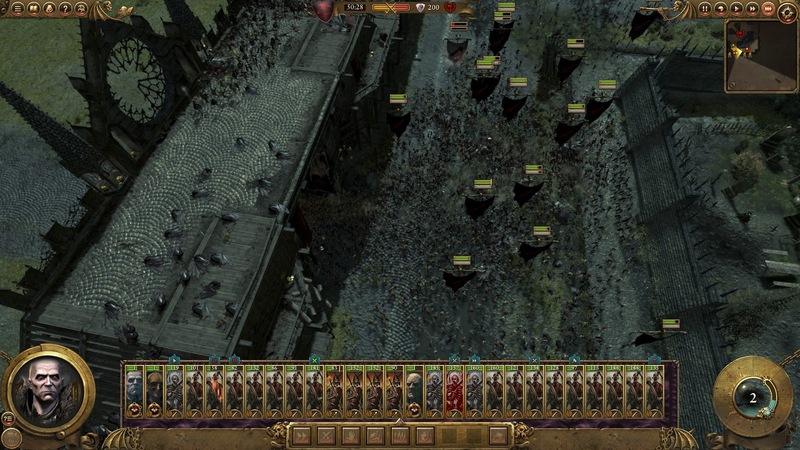 At the heart of the seething undead mass, Mannfred and the necromancer Renke von Carstein led a phalanx of spear armed skeletons. In the streets van Kruger’s warriors tried to hold the horde at bay. Their efforts were in vain though, the ragged lines crumbled soon after von Carstein engaged and defeated van Kruger in single combat. 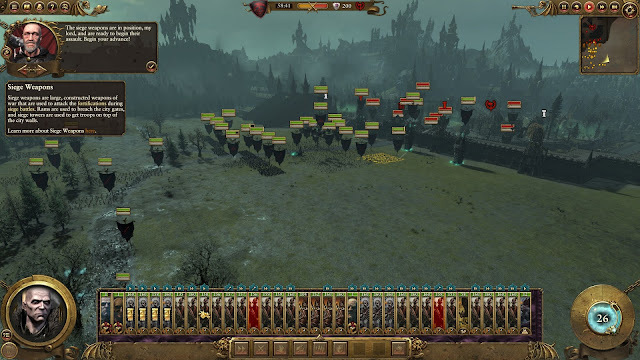 Only the armoured grave guard stood resolute against the invading dead. 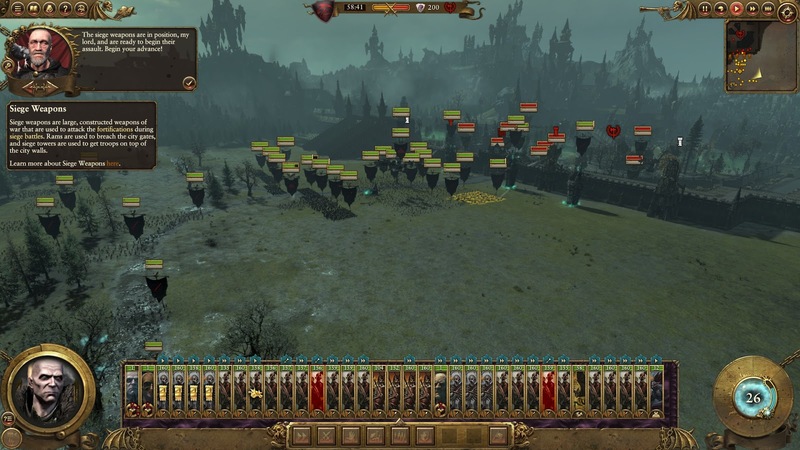 Though they fought stoically in the face of overwhelming numbers, they too were unable to weather the wrath of von Carstein. Templehof fell and van Kruger fled west to Fort Oberstyre, his last stronghold. 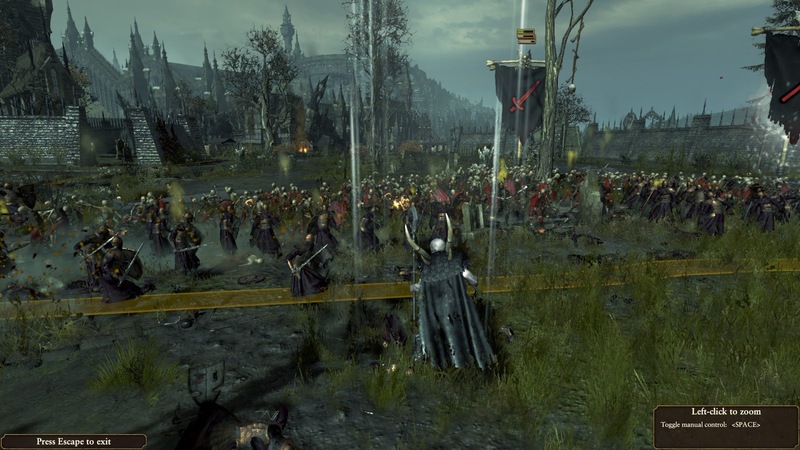 Unwilling to allow his foe the respite necessary to raise another army, von Carstein sent Malsar the necromancer, in pursuit. At the head of the still sizeable zombie horde, Malsar overwhelmed Fort Oberstyre’s defences, and ran the routed van Kruger into the foetid swamp growth beyond. Sylvania was once more under the von Carstein rule.